The Great Indoors — Monkey Mountain! 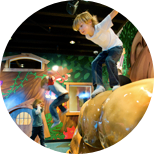 We are Utah's Giant Indoor Playland, Day Care and Babysitting Facility. Inner Monkeys At Monkey Mountain! We Are The Great Indoors! August 8, 2015 is our last day! Thank you for five years of awesome playtime! 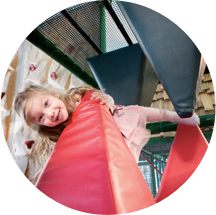 Whether you drop your children off for hourly childcare, or come & play together, your children will discover their inner monkeys as they move & play about in the safety & comfort of our giant Playland – with 4,000 sq. 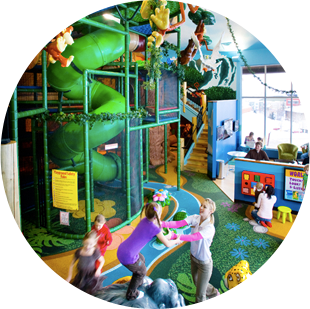 feet of interactive Play Features, a Toddler Soft-Play Zone and our massive 4-Tier Tree House Play Structure. And be sure to enjoy the Contemporary Parent’s Lounge with Free Wi-Fi, large flat-screen TV’s and a magnificent view of the great outdoors! © 2013 Monkey Mountain. All Rights Reserved.